Below is the complete Biography, Contact number, home address and other detail of Syed Tariq Yaqoob Rizvi who wins the Election in 2013 from PP-117 (Mandi Bahauddin-II). Moreover, You will also find the Official Mobile number together with the Email address of Syed Tariq Yaqoob Rizvi. The home address of this member is also provided. This member started to campaign in 2013 for General Election. As a result of successfully wins the Election from PP-117 (Mandi Bahauddin-II). Above all, now this member is Member of Punjab Provisional Assembly from 2013 to 2018 from PP-117 (Mandi Bahauddin-II). Furthermore, This member is very honest and has a pleasant personality. 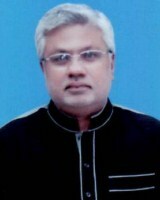 Syed Tariq Yaqoob Rizvi son of Syed Muhammad Yaqoob Shah was born upon December 1, 1968 at Phalia. He graduated in 1988 from F.C College, Lahore. Being a retired Civil Servant, he worked as Chief Officer and also Deputy Director in Local Government & Community Development Department, Punjab during 1990-2004. He is the Sajjada Nasheen of “Pir of Phalias” Shrine. He has taken a trip to Saudi Arabia, Dubai, UAE, France, Italy, Europe, USA and Canada. His Papa, stayed Member of Punjab Assembly during 1990-91 and worked as Advisor to Chief Minister; his brother, Pir Binyamin Rizvi acted as Member, Punjab Assembly throughout 1991-93 (worked as Advisor to Chief Minister) and during 1997-99 (served as Minister for Social Welfare, Women Development and also Bait-ul-Maal).